Loose track of time and wonder where the time went? We have gathered together some of our favorite free online and mobile apps to help you get control of your time so you can enjoy the little things in life. Just about any and all mobile phones have alarms that you can set for just about whatever you need. Sure, you may think that they are just for waking you up in the morning, but they are great for a lot more than just that. 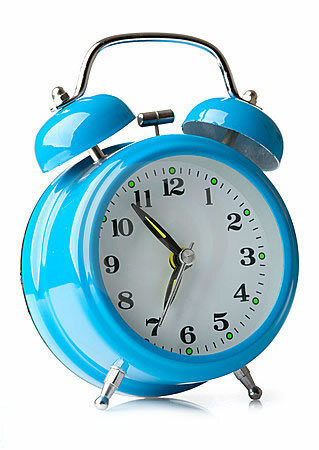 Take advantage of your clock application on your phone and set alarms for anything you need to do at a specific time. Meetings, feeding the baby, picking up the kids, making dinner, and even for taking out some time for yourself! Google has many great free online applications that are free to use. I personally like the Google Calendar. It allows you to setup and manage more than one calendar under a single account. This is very useful for the working mom and shop owners. Easily keep track of your store schedule, personal schedule, kids schedules, your husbands schedule, and more all in one place. You can share your calendar(s) with others so they know when you are available and best of all you can specify a separate color for each calendar… so it is easy to track who is doing what and when! Have your husband manage his own calendar and if your kids are old enough, they can manage their own calendars. Calendars can be left private (default) or made public for the world to see. Store owners can easily set their “store calendar” to be public so consumers can see what shows and events their favorite store is having. You can even link your store calendar into your website for easy consumer access. Google Calendars are a quick and easy way to always know what is going on and no more unexpected surprises. Learn more about Google Calendars here. Have a to do list that is forever growing? The thing I hate the most about the traditional to do lists is if I cannot finish it in one day, then I have to rewrite everything that I was not able to accomplish on a new page or day so I can easily see what needs to be done TODAY. Or maybe you have something that needs to be done in a future date and need to remember to do it that day. TEUXDEUX is the answer. This online application is a simple, user friendly application that helps you keep track of your to do lists easily. There is even a SOMEDAY to do list that you can have for all those miscellaneous tasks that you would like to accomplish someday. Best of all there is an iPhone app available to take your tasks lists mobile. They are also currently working on a Teux Deux app for other mobile devices such as iPad, Android and Blackberry. Check out all the cool features TeuxDeux has to offer here. I know what you mean I sit down to do something, look around and it ends up being way later than I thought. When I’m at my sewing machine it’s all quick and face paced. Hand sewing, not so quick and face paced….